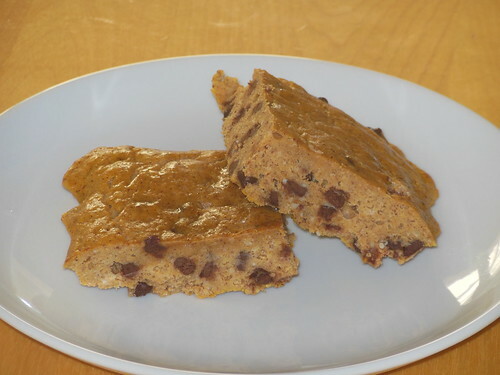 Did you catch my recipe for Paleo Pumpkin Chocolate Chip Bars?? Among many fabulous comments I also got a few requests for adding protein into these bars. I experimented a bit and came up with these! They are no longer Paleo due to the whey protein but could be used as a quick post-workout snack, especially considering post-workout is the ideal time for your body to consume sugar! So to all my protein lovers: enjoy! In a mixing bowl combine your dry ingredients omitting the chocolate chips. Next add in the pumpkin, eggs, and warmed coconut oil. Once your mixture is combined mix in your chocolate chips. Bake for 25-30 minutes until a toothpick in the middle of the bars comes out clean. *Little Note: These bars are a little cakier than the original ones. For a denser and Paleo bar go with the original. 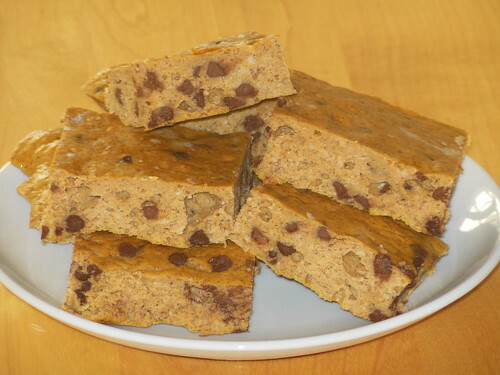 You could also cut back on the protein powder to make a denser bar! What's your protein source of choice??? Check out more delicious recipes at DaniellePrestejohn.com.